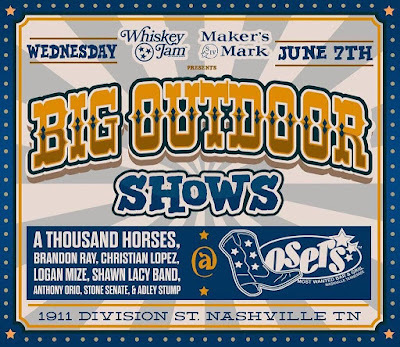 Losers to Host Whiskey Jam Parking Lot Party on June 7th! Loser's will host another Whiskey Jam parking lot party this year! This free show will be on Wednesday, June 7th at Loser's Bar parking lot located at 1911 Division St! Doors at 5 PM show at 6 PM. 21 and over only! 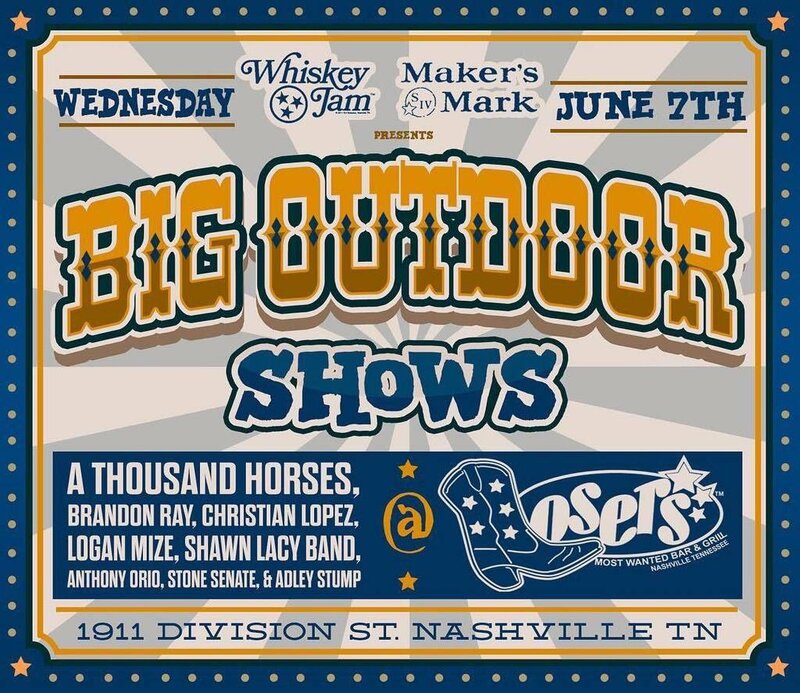 Lineup featuring: A Thousand Horses, Brandon Ray, Christian Lopez, Logan Mize, Shawn Lacy Band, Anthony Orio, Stone Senate, and Adley Stump!